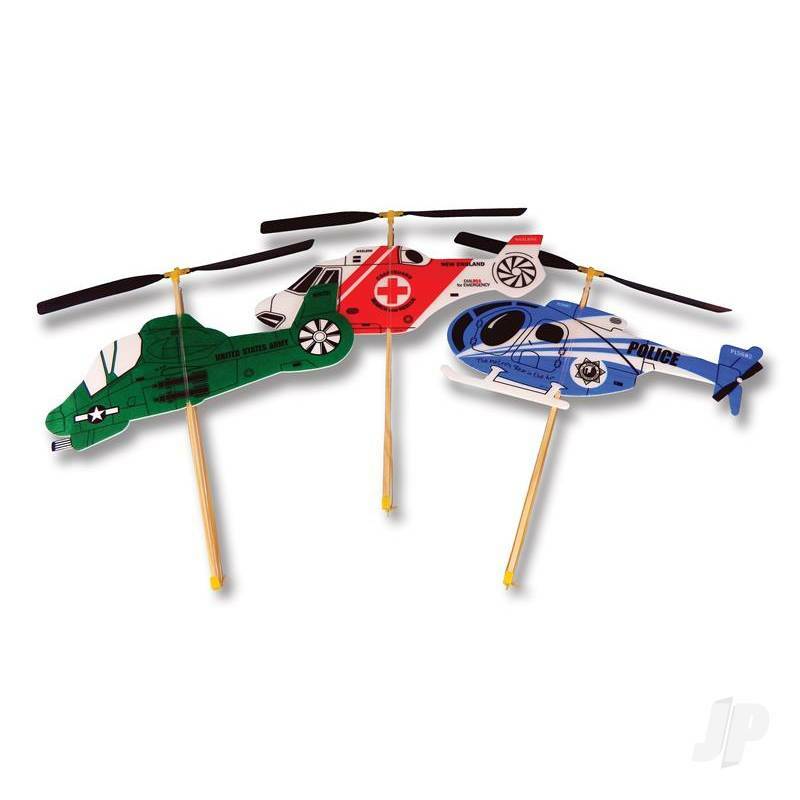 These rubber band powered helicopters can fly up to 75 feet for hours of flying fun. Comes in clear protective packaging with bright colored graphics, assembles in minutes. 3 different helicopter models, you will get a random style choosing. You can also find more similar products in the Guillow brand store in Flying Toys/Helicopters.